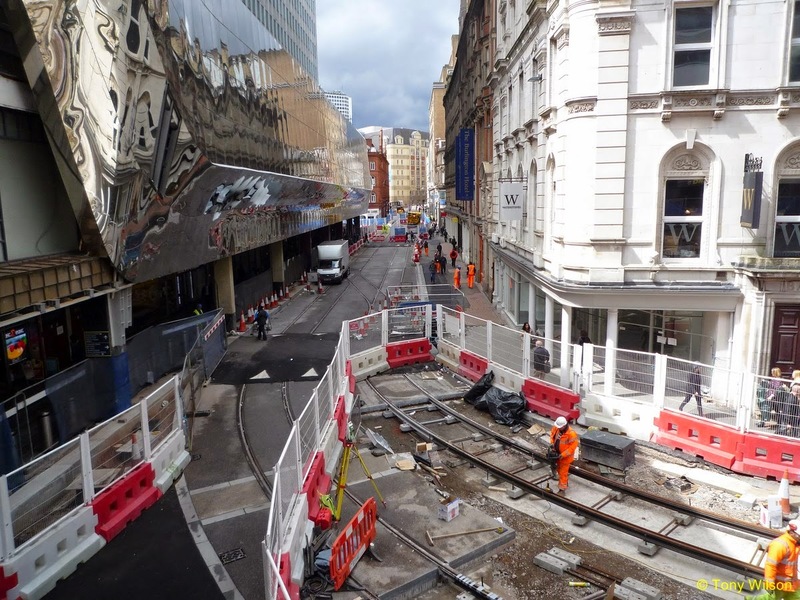 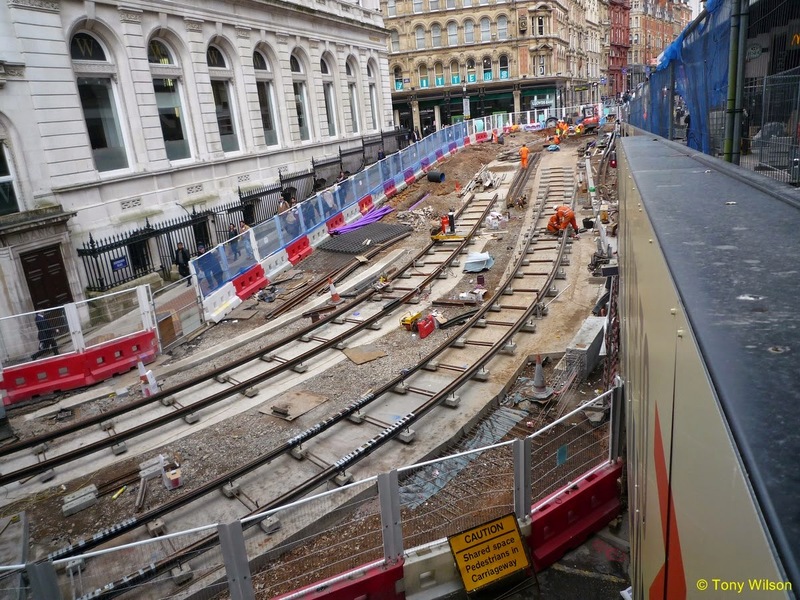 The extension to the Midland Metro from Snow Hill to New Street Station in Birmingham is gradually taking shape and is apparently on course for opening later this year. 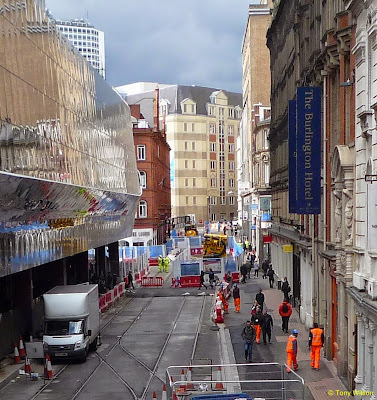 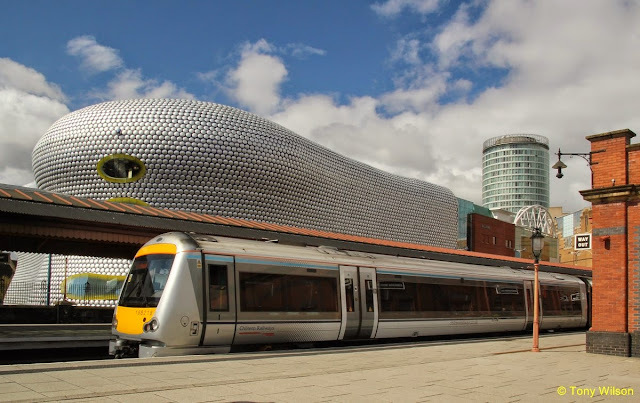 The route will see a new Stop at St Chad's which will link to Snow Hill Station via the second access then travel through the new development at Snow Hill Queensway and onto the road. With a second stop located on Upper Bull Street, Metro will then turn on to Corporation Street where it will stop at the heart of the city centre adjacent to the junction of Cherry St, carrying on to Stephenson Street where the final stop will be just outside the entrance to New Street Station. Focus Transport visited the city centre during May and the images below illustrate some of the progress made. 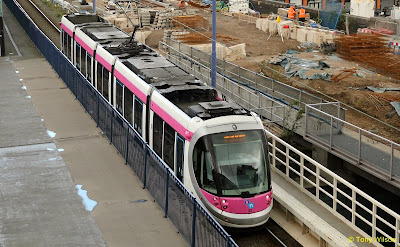 A Midland Metro tram approaches the current terminus at Snow Hill Station. 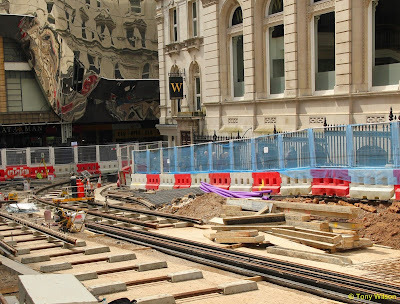 To the right the new track alignment will move the line of route through Colmer Circus towards a new stop and then onwards through the city centre. 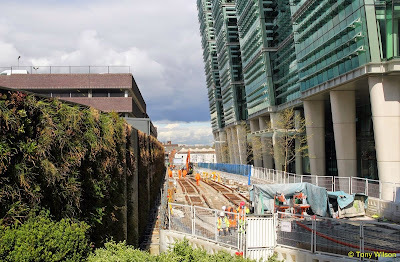 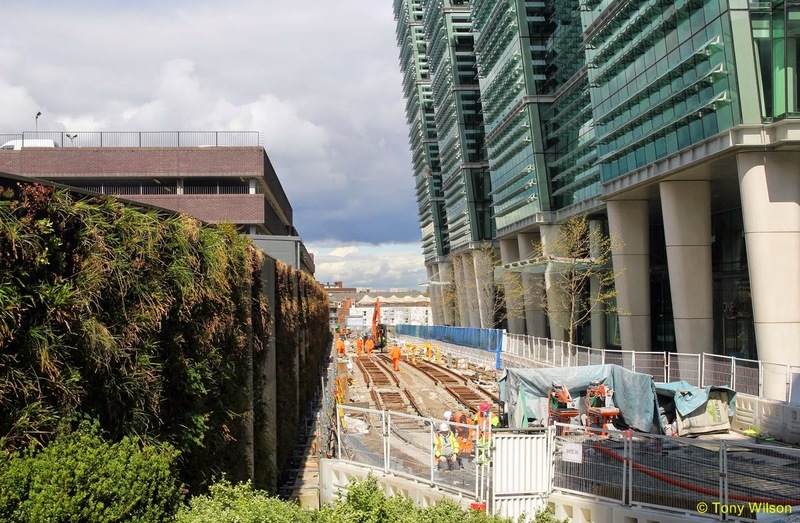 With the current terminus at Snow Hill behind the wall to the left the new stop is under construction between there and the high rise office block. 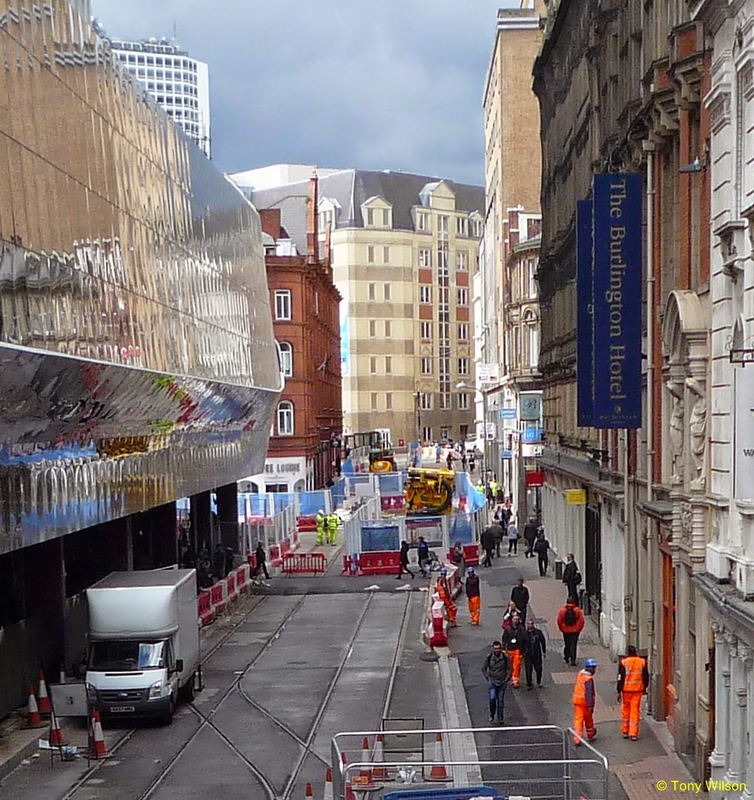 Looking from Corporation Street towards the curve of Stephenson Street and the new mirrored facade of New Street Station. 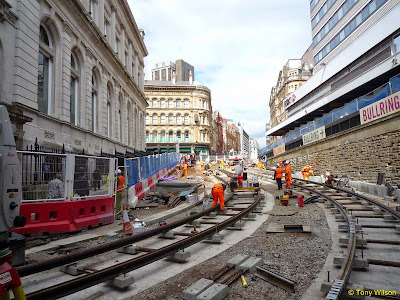 With New Street Station on the left looking along Stephenson Street to the new terminus in the current scheme.